Rymill was born on 13 March 1905 at Penola in South Australia to Robert Rymill and Mary Edith Rymill. On completing his education at Melbourne Church of England Grammar School, he travelled to Europe. 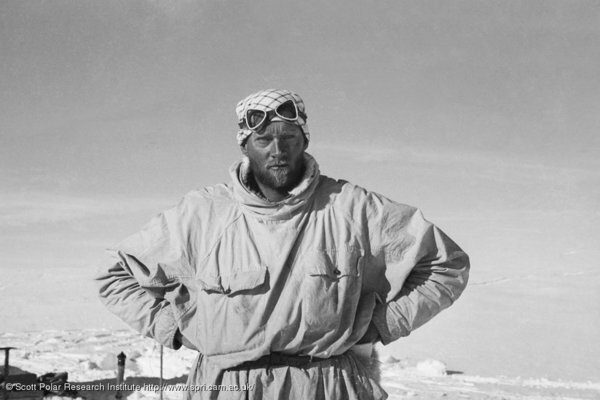 In 1927 he came to England and studied anthropology and navigation at the Royal Geographical Society and in Cambridge at the Scott Polar Research Institute. Here he was invited to participate in the Cambridge University Museum on Archaeology and Ethnology expedition to Arctic Canada in 1929. This was followed by an invitation to join the British Arctic Air Route Expedition, 1930 – 1931 (leader Henry George Watkins) to Greenland, for which he was surveyor and pilot. During this expedition he learnt dog-sledging, navigation and kayaking. Between 1932 and 1933, Rymill participated in the East Greenland Expedition – Pan Am, during the course of which Watkins drowned and Rymill became leader. On his return, Rymill organized and led the British Graham Land Expedition, 1934 – 1937, sailing in the schooner Penola to the Antarctic Peninsula where bases were established in the Argentine Islands and Debenham Islands. During a reconnaissance flight in August 1936, Rymill detected an ice-filled rift between Alexander Island and the mainland, later named King George VI Sound. The following month, sledging parties proceeded southwards along the Sound to 72°S and eastwards to the high plateau of Graham Land, proving that Graham Land was a peninsula and not an archipelago as previously supposed following flights by Sir Hubert Wilkins and Lincoln Ellsworth. ‘Southern lights’, his account of the expedition, was published in 1938. Rymill was awarded the Founders Medal of the Royal Geographical Society. In 1938 he married Dr Eleanor Mary Francis with whom he had two sons. After service with the Royal Australian Navy in the Second World War, Rymill returned to manage his family sheep farm at Penola. He died on 7 September 1968 at Adelaide, Australia, aged 63, following a car accident. Rymill, J. R., Stephenson, A., & Mill, H.R. (1938) Southern lights; the official account of the British Graham Land Expedition. London: Chatto and Windus. Reprinted: Malvern: the Knell Press 1986. Bechervaise J. (1995) Arctic and Antarctic. The will and the way of John Riddoch Rymill. Huntingdon: Bluntisham Books. Riley, Q. ‘John Riddoch Rymill’: The Polar Record Vol.14 no.91 January 1969 p524-525. Stonehouse, J. ed. (2002) Encyclopaedia of Antarctica and the Southern Oceans. Chichester: Wiley & Sons. This entry was posted on Friday, November 7th, 2008 at 11:26 am	and is filed under Biographies, Resources, Rymill John Riddoch. You can follow any responses to this entry through the RSS 2.0 feed. Both comments and pings are currently closed.